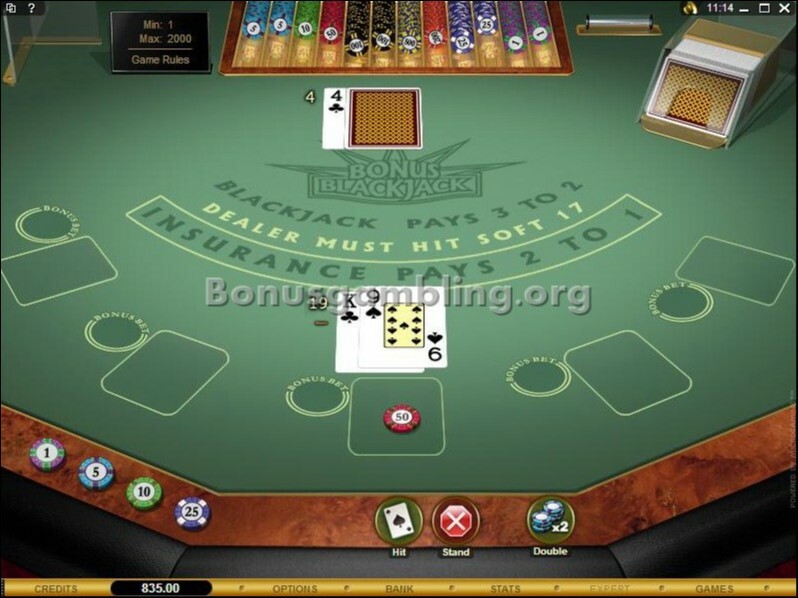 There are a number of online casinos with superb interfaces and a great home page, and one that is somewhere at the top of the pile is the Blackjack Ballroom casino. This cool casino looks awesome and also has a great range of games and promotions to back up its good looks. 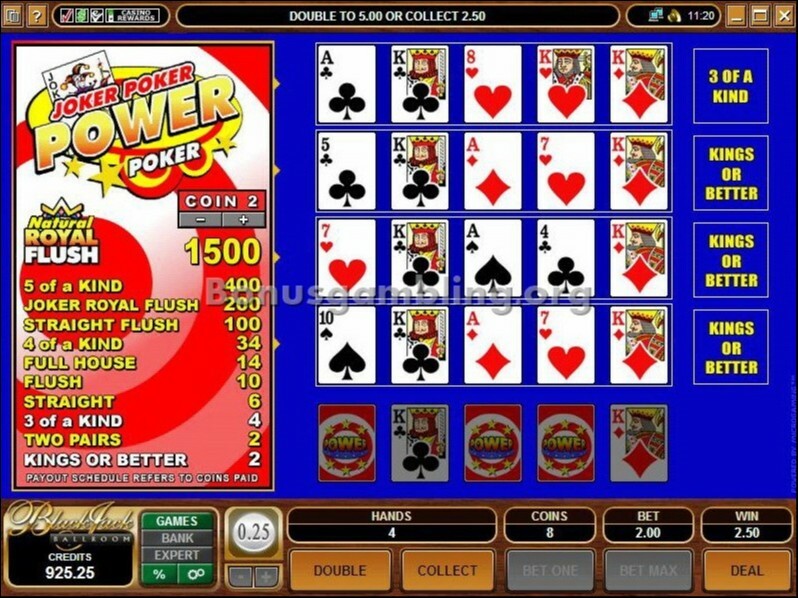 Add to it the great software it runs on and the number of player-friendly features and this casino becomes a must-visit destination for online casino enthusiasts. The Blackjack Ballroom casino has been around for more than half a decade now, and is a part of the International Gaming Council (IGC), besides also being a member of the Casino Rewards program. It is available in multiple languages besides English – French, German, Italian, Spanish, Dutch, Chinese, Japanese, Danish, Swedish, Norwegian, Finnish, Portuguese, and Greek. The casino transacts in multiple currencies as well – US Dollars ($), GBPs (£), Euros (€), and Canadian Dollars (CAD). The Blackjack Ballroom has a great interface and a brilliant home page. The casino website is easily navigable, thanks to a great layout that ensures the casino provides all the important information you require, along with all the important buttons, right on the home page, without giving it a cluttered look. The Blackjack Ballroom casino is powered by Microgaming software, which provides the casino with a range of cool features. 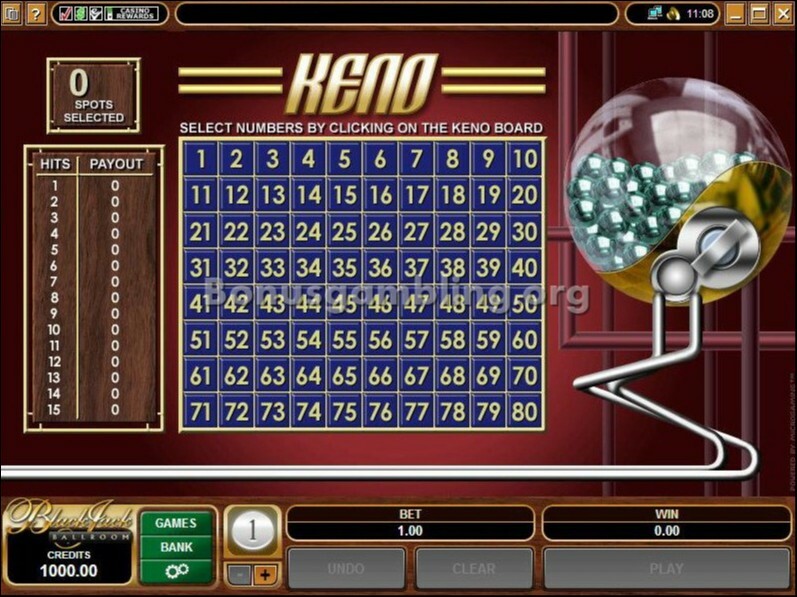 Some of these include multi-table play, superb graphics and animations, realistic sound effects, chat facility, the ability to track play and cash histories, and more. 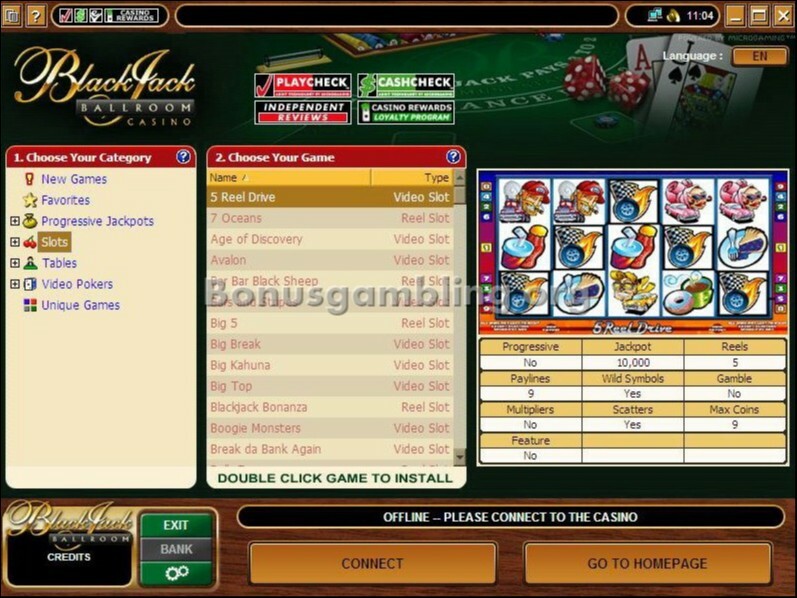 You have to download the casino software to your computer to play the games available. The Blackjack Ballroom casino is not just about blackjack games. There are more than 353 exciting Vegas-style online casino games to choose from at this casino. 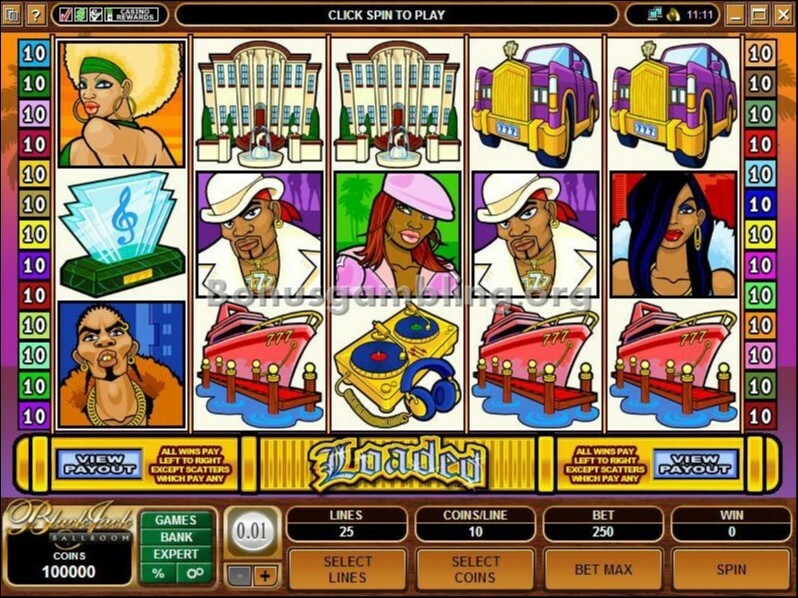 The games available include table and card games, slots, video poker, and also specialty games. The casino also has some impressive progressive jackpots to add spice to your gaming experience here. Like all other good online casinos, customer support is excellent at the Blackjack Ballroom casino. Customer support is available in all the different languages the casino is available in. You can get in touch with a member of the customer support team 24x7 through telephone and e-mail. The casino also has a FAQ section that you can refer to for answers to your queries. At the Blackjack Ballroom casino, you get a completely secure gaming environment thanks to the casino’s use of advanced security technology like 128-bit SSL encryption. 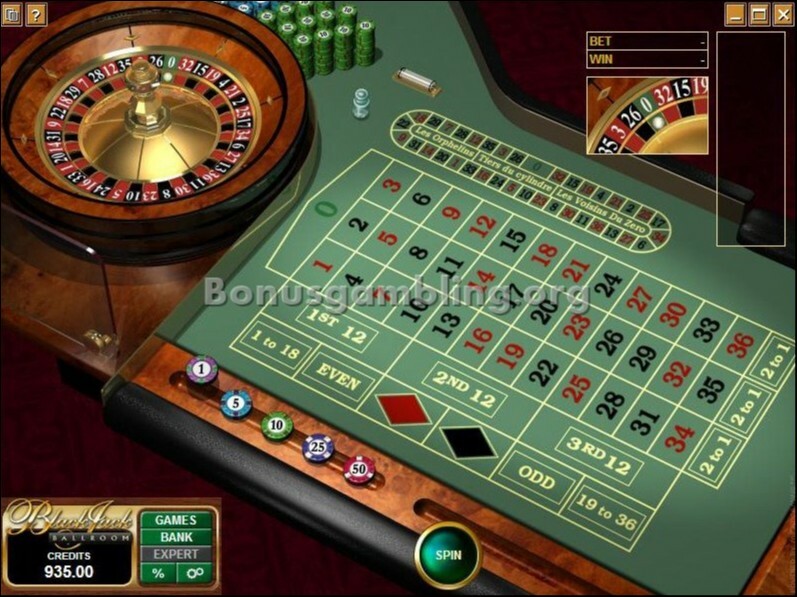 The casino also provides completely fair gaming, and has been certified by eCOGRA as a fair and safe casino to play at. You have to be over 18 years old to play at this casino. The casino is licensed by the Kahnawake Gaming Commission in the Mohawk Territory of Kahnawake and does not accept US players. 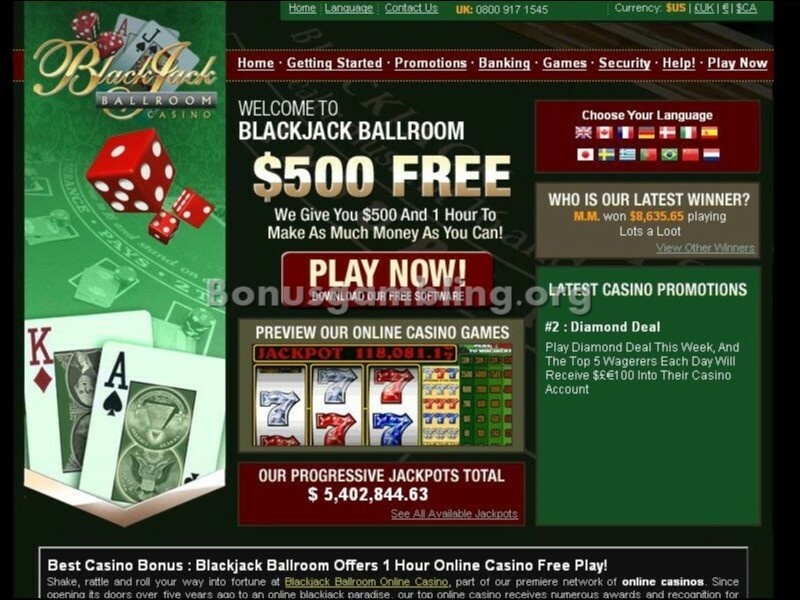 Recently I was surfing the Internet for online casinos to check out, and came across the Blackjack Ballroom. This is one casino I would recommend to online gambling enthusiasts for sure. The Viper software from Microgaming ensures it is all rock and roll when you are at this casino. The Blackjack Ballroom is not just about blackjack, there are over 353 other online casino games as well for you to check out. Not just that, the casino has some really cool promotions that got me going for sure. The first bonus I got at Blackjack Ballroom was a whopping $500 free and one hour to spend it in. Not only that, I also got to keep whatever I won during this period, which seemed like a cool proposition. That is not the only promotion; since the casino is a member of the Casino Rewards program, you are guaranteed superb loyalty bonuses too. And then there is the referral bonus for referring a friend to the casino. You can also check up on the other bonuses that the casino regularly organizes by looking up the casino’s newsletter. Blackjack Ballroom is one online casino that I would definitely recommend to others, since I plan to go back there myself.